The shoulder is a ball-and-socket joint between the upper arm bone, which is called the humerus, and the shoulder blade, which is called the scapula. The ball is on the top of the upper arm bone and the socket is on the shoulder blade. However, the socket is not a full cup, it is a shallow depression similar to a golf tee. 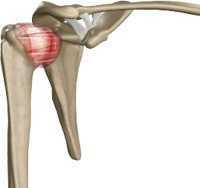 The socket is made deeper by a triangle of cartilage that runs in a circle around the socket, called the labrum. The labrum acts similar to a grommet. 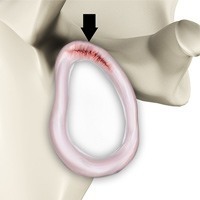 By deepening the socket, the labrum helps to prevent the ball from slipping over the edge of the shallow socket and dislocating. 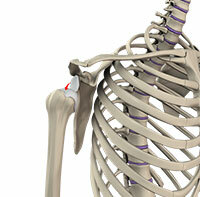 Ligaments between the shoulder blade and the upper arm bone also keep the shoulder from dislocating. Ligaments are strong bands of connective tissue between bones. 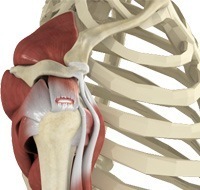 These ligaments attach to the shoulder blade at the labrum. 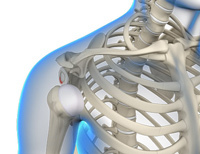 The shoulder is the most commonly dislocated joint in the body. When the shoulder dislocates, the labrum in the front of the shoulder almost always tears. When the labrum tears, the ligaments attached to the labrum are no longer connected to the shoulder blade. To prevent the ball from slipping over the edge of the shallow socket and dislocating with heavy lifting, the rotator cuff compresses the ball into the socket. The rotator cuff is a group of four muscles and tendons (the supraspinatus, the infraspinatus, the subscapularis, and the teres minor) that surrounds the ball like a glove. When the ball is compressed into the socket, the shoulder joint is a stable rotational fulcrum for the powerful deltoid and pectoralis muscles. This stable rotational fulcrum allows the arm to lift heavy weights above shoulder and head level. With age, the rotator cuff tendons degenerate. If the tendons become too degenerated, they can tear. The joint surfaces are coated in a smooth, slippery cartilage surface. This cartilage surface is more than ten times more slippery than wet ice! 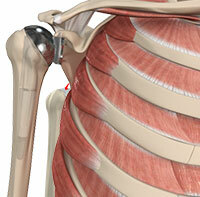 This surface allows for smooth, frictionless motion of the shoulder. Shoulder osteoarthritis is a “wear and tear” disease in which the cartilage surfaces of the joint are worn away until the humerus bone is rubbing against the scapula bone. 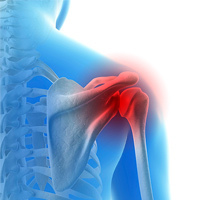 The shoulder is the most commonly dislocated joint in the body. Most commonly the ball dislocates in front of the socket. The ball can also rarely dislocate behind the socket. Most dislocations occur with injuries to the shoulder such as athletic injuries, car accidents, and falls. The superior labrum can be torn from the socket of the shoulder. These tears typically extend forward and backwards (i.e. anteriorly and posteriorly), and are thus called superior labral anterior-posterior or SLAP tears. In adhesive capsulitis the capsule becomes thickened and inflamed. When this occurs without an injury or prior surgery it is called adhesive capsulitis. It is not known why this condition occurs, but it may be hormonal as it occurs most commonly in those with thyroid problems, those with diabetes, and females between the ages of 40 and 60. The overhand baseball pitch is among the fastest and highest stress athletic motions known. Most of the speed of the baseball pitch is produced in the legs and trunk. This speed is then transferred into the arm as the arm is cocked. The arm then rotates and accelerates and the ball is released. 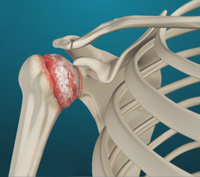 Shoulder osteoarthritis is a “wear and tear” disease in which the cartilage surfaces of the joint are worn away until the humerus bone is rubbing against the scapula bone. Arthritis creates inflammation, swelling, pain, stiffness, weakness, and loss of shoulder function. In an attempted healing response, the bone around the joint creates bone spurs that can also limit motion. With age, the rotator cuff tendons degenerate. If the tendons become too degenerated, they can tear. Over time, rotator cuff tears increase in size. This process is very slow, taking place over years. The rotator cuff can also tear with trauma to the shoulder such as a fall. The bursa is prone to become inflamed, which is called bursitis. There are multiple causes bursitis, including rotator cuff tears, inflammatory conditions, and traumatic injuries. Bursitis causes pain in the front and side of the shoulder, difficulty lifting the arm, loss of strength in the shoulder, and difficulty sleeping on the shoulder. 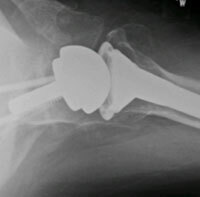 In total shoulder replacement, the ball is replaced with a highly polished metal alloy, and the socket is replaced with a very durable plastic. These parts are sized to match your bones. The plastic socket is glued to the shoulder blade with special bone cement. 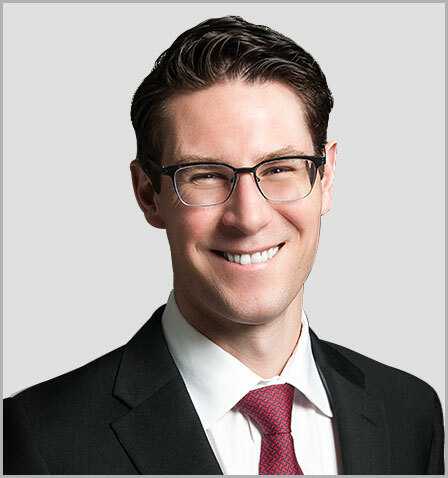 The reverse total shoulder replacement was developed for patients with arthritis related to a rotator cuff tear This procedure is also performed for large rotator cuff tears that cannot be repaired. In the reverse replacement, the ball is placed on the shoulder blade and the socket is placed on the upper arm bone. Dr. Chalmers believes that the shoulder functions best when no muscles or tendons are cut. He has been working to develop a new method for performing total shoulder replacement without cutting any muscles or tendons. 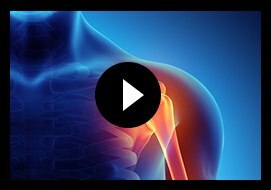 This new technique builds upon the work of other shoulder surgeons. Corticosteroids are the strongest available anti-inflammatory medications. Weaker anti-inflammatory pills such as ibuprofen, advil, naproxen, and aleve, are some of the most commonly utilized medications in the United States. Corticosteroids are available as pills. These pills generally must be taken every day or several times a day. With age, the rotator cuff tendons degenerate. If the tendons become too degenerated, they can tear. Over time, rotator cuff tears increase in size. This process is very slow, taking place over years. The rotator cuff can also tear with trauma to the shoulder such as a fall. When the rotator cuff tears, the shoulder can become very painful. 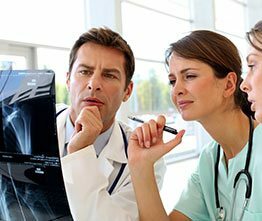 Arthroscopy is a minimally invasive way to perform shoulder surgery. 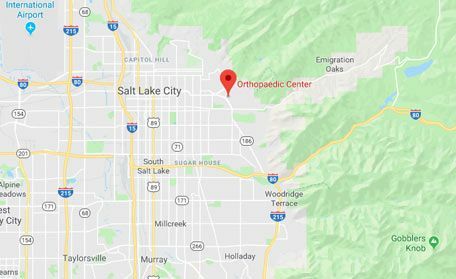 To perform an arthroscopy Dr. Chalmers will make a small incision 5 millimeters (1/5th inch) and insert a small fiberoptic camera into the shoulder joint. 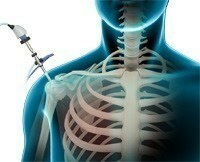 Once the joint is filled with saline fluid, the entire shoulder joint can be visualized using the camera. When the shoulder dislocates, the labrum in the front of the shoulder almost always tears. 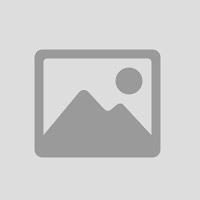 When the labrum tears, the ligaments attached to the labrum are no longer connected to the shoulder blade. The socket cartilage and bone can also be damaged. In severe cases, the socket can be fractured.